Home is the place we feel most comfortable. It’s our haven. Our place to decompress after a long day. But sometimes that sanctuary can feel stressful when we walk into a mess. Over the years I’ve tried to tame the clutter and organize my home. I’ve found that if items have a specific place to put them, then they are more likely to be put away. 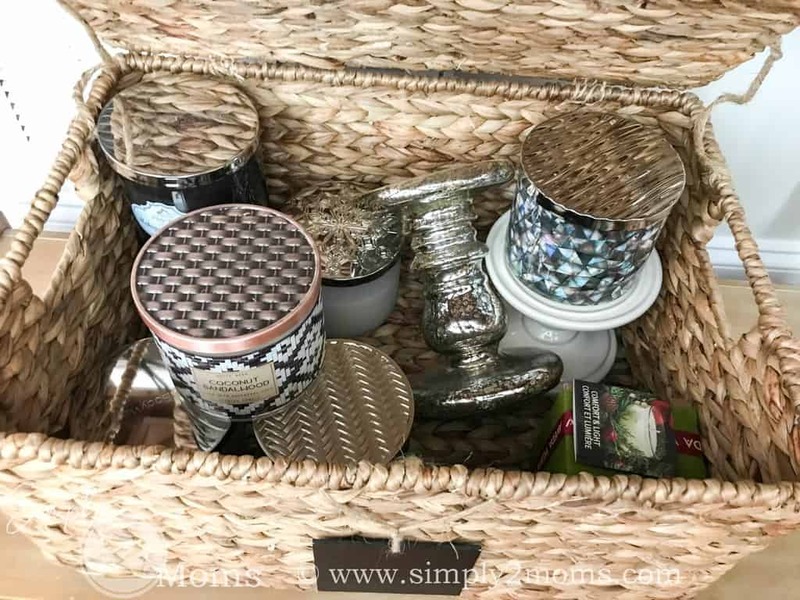 Baskets are an inexpensive simple option to organize your home. Here are 15 Ways to Organize with Decorative Baskets. 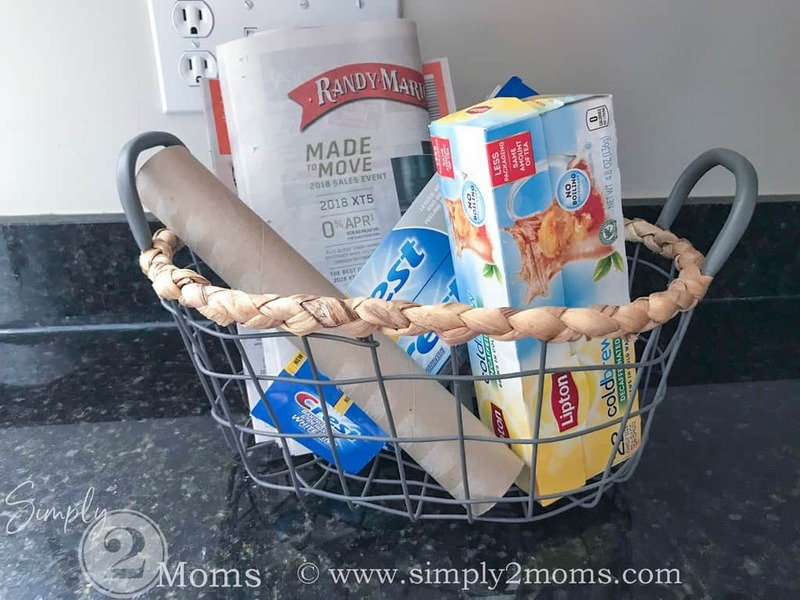 I use several baskets in our kitchen to organize like items. 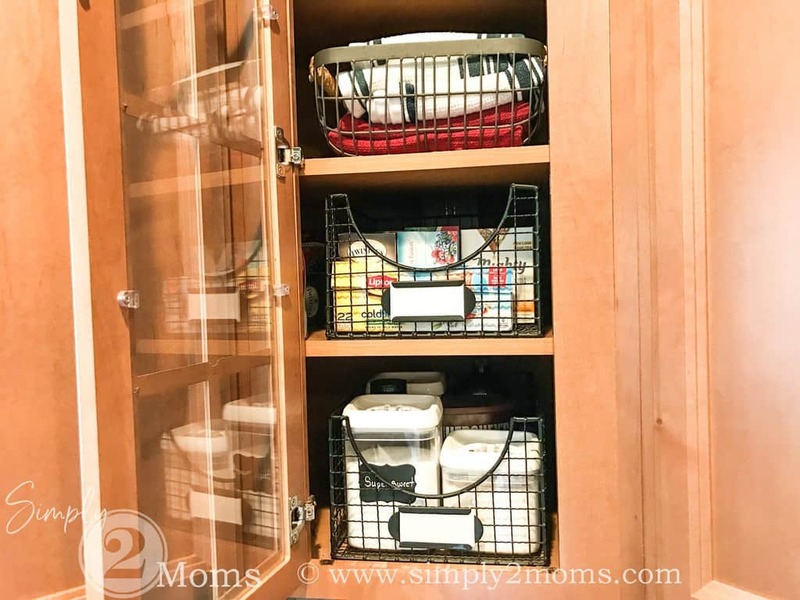 Our corner cabinet has a glass door so I have a few farmhouse style metal baskets storing items we use often. At first, I only displayed decorative items in this cabinet but recently gave up the pretty for the practical. 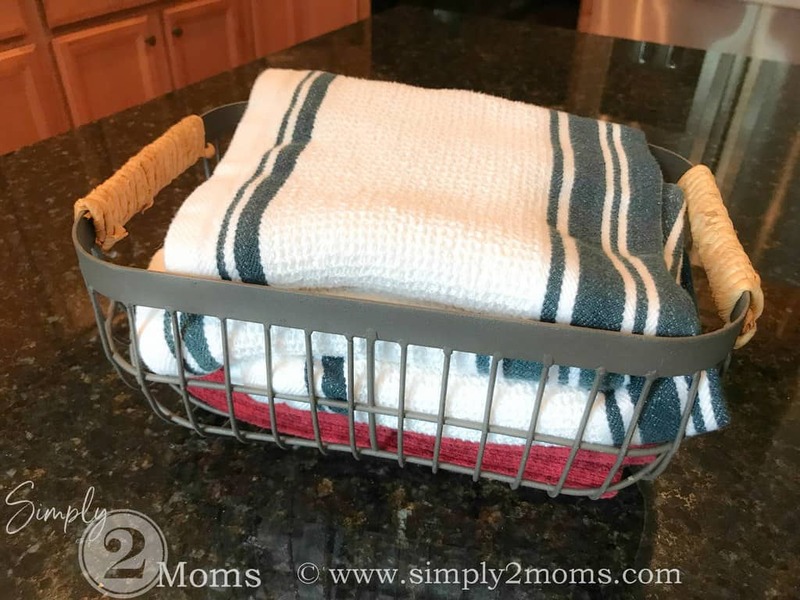 Extra kitchen dish towels stored in a pretty basket makes essential items more decorative. 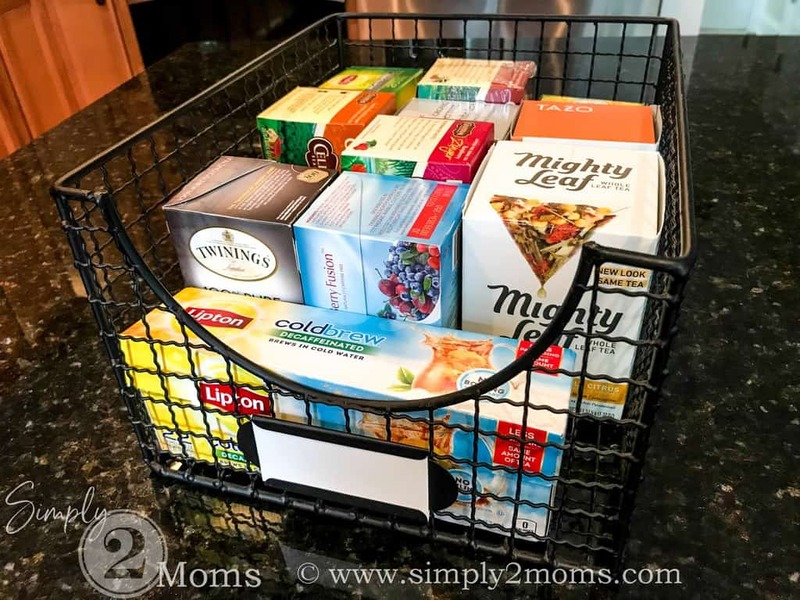 Organizing boxes of tea in a basket helps to contain all the different flavors so that our tea is easy to find in one place. The ingredients to make the Trim Healthy Mama (THM) Chocolate Secret Big Boy are all stored in one basket. 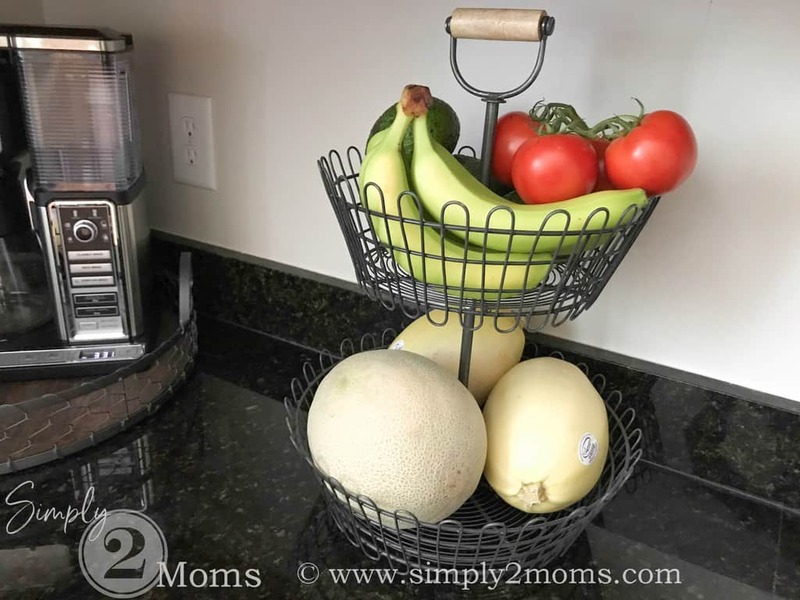 This has been so easy to just pull out the basket every day to make a smoothie rather than having to find each ingredient throughout the kitchen. I do love baskets…especially wire baskets to give our home that bit of that farmhouse style I love. 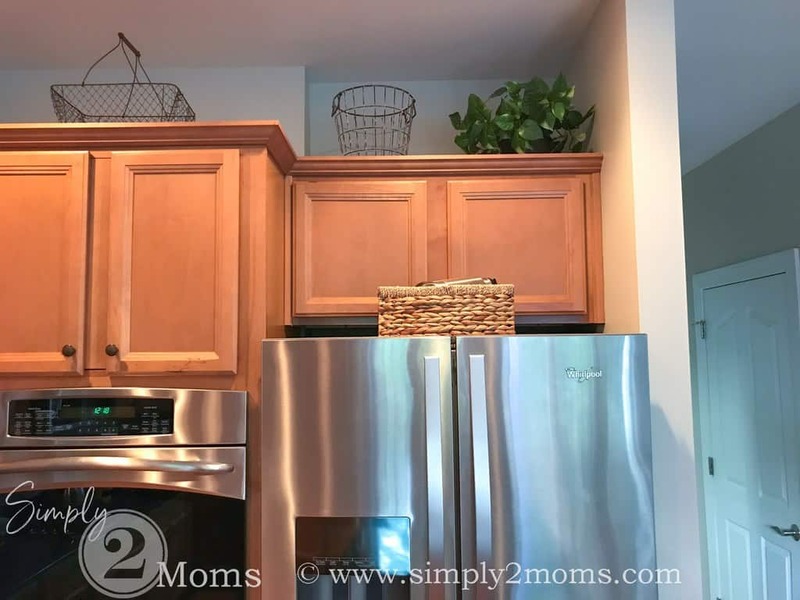 Wire baskets and plants decorate the tops of our cabinets. We have several additional useful but decorative baskets around the kitchen. 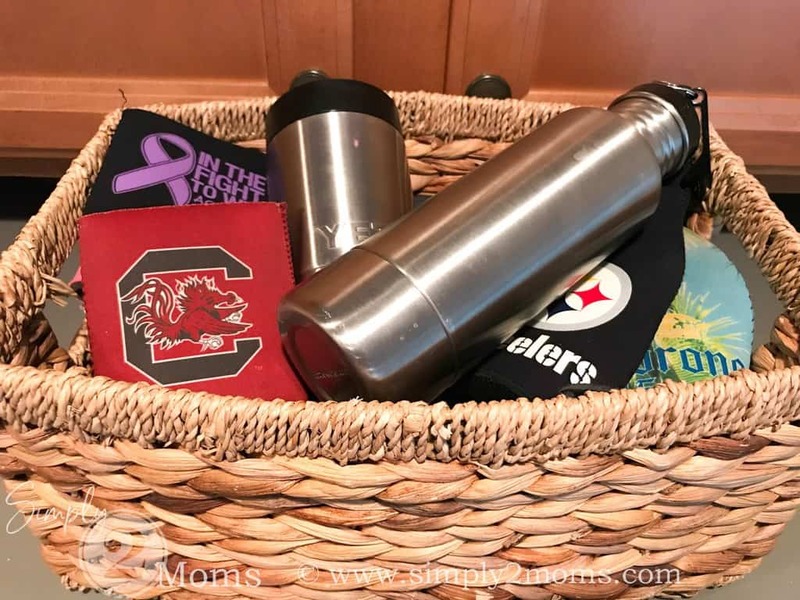 No more searching throughout our kitchen drawers and cabinets looking for a koozie…now we just throw them in a basket that sits on top of our refrigerator. Fresh fruit and vegetables in a tiered basket on our counter make them easily accessible. And keeping them in view they are more likely to be used before going bad. We don’t have enough room under our sink for both our garbage & recycling. So we put our recycling in this basket that sits on our counter and then when it’s full we just bring it out to the garage to throw in our large recycling bin. 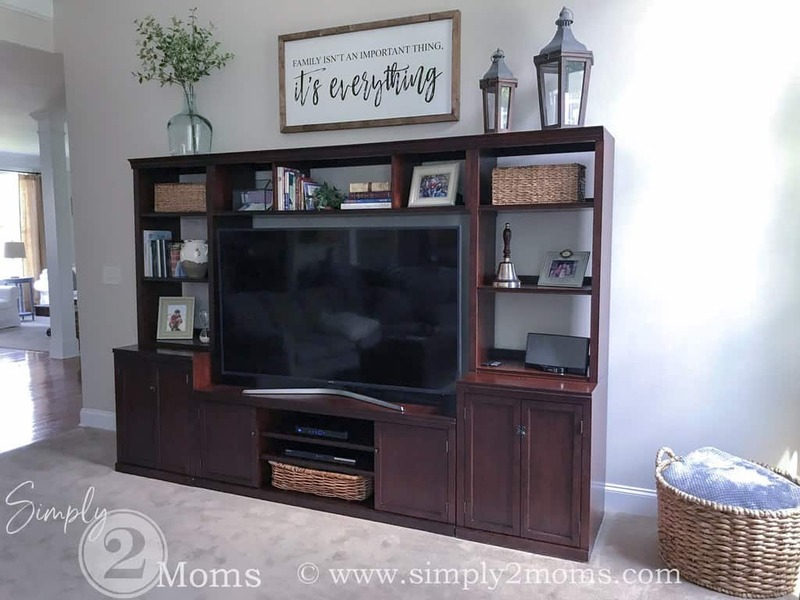 Another room in our home that we use baskets for organizing is our family room. 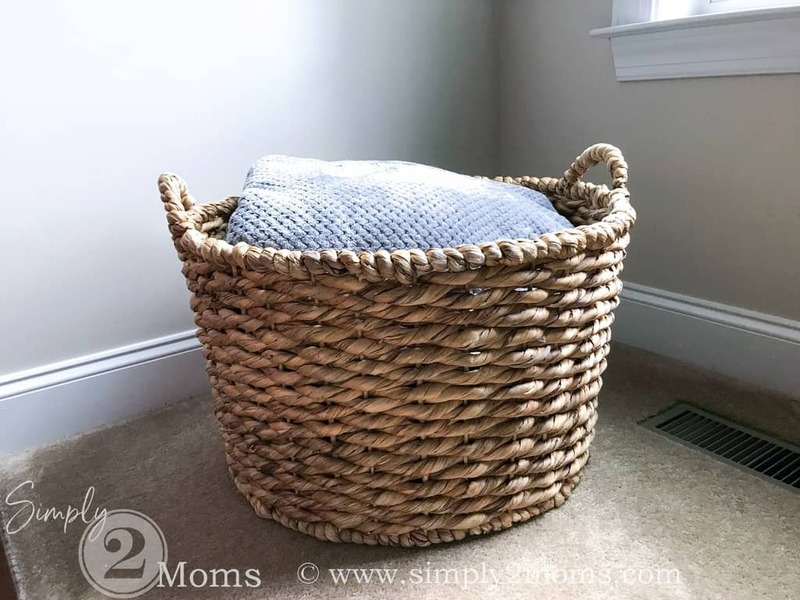 Using an extra-large floor basket to hold all our throw blankets allows us to easily grab one for movie night. 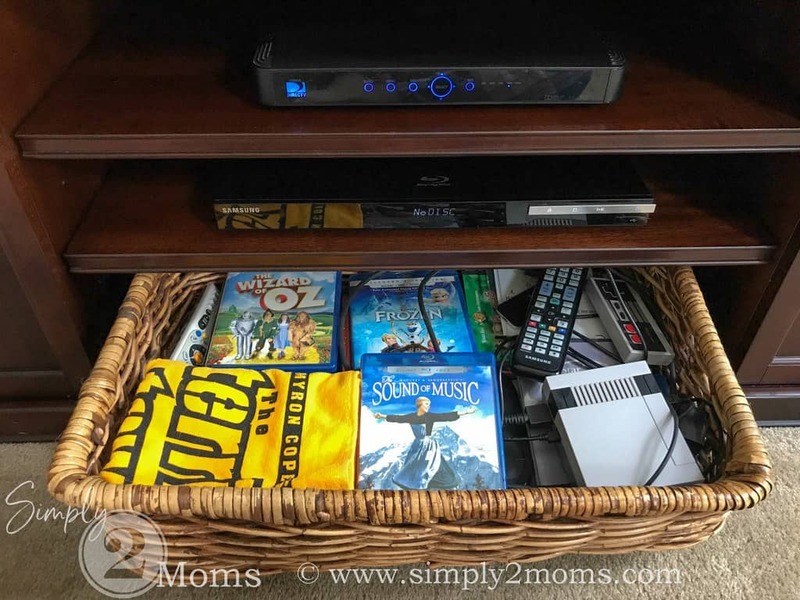 DVD’s, extra remote controls, gaming systems, and the all-important Steelers terrible towel for football season are organized in a basket that fits perfectly in our media center. 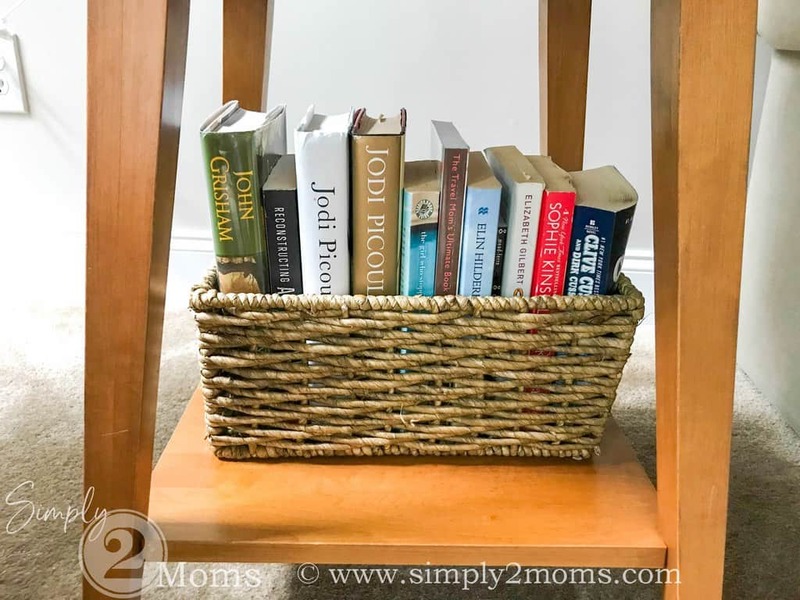 Books tucked into a decorative basket are not only useful but the perfect accessory for this small shelf under our side table. I may have a slight addiction to Bath & Body Works 3-wick candles. When I get coupons my daughter and I love to head to the store to grab a few new ones. Storing candles and a few holders in a lidded basket on our console table keeps them out of sight. Although not technically a basket but more of a wood crate this box sits on our fireplace hearth with a few extra pillows. You can see how I decorated our fireplace for summer here. Another small wood crate on our foyer table holds a few necessary pet items. Our dogs go out the front door so having the training collar & treats close by is very convenient. 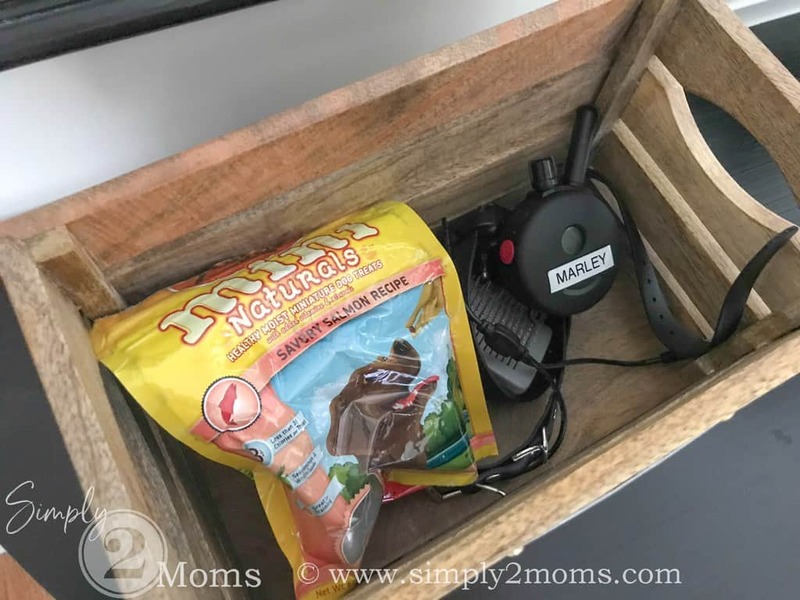 I chose this box because I’m able to weave the charger for the training collar through the slats to the outlet under the table but still hid the contents of what’s in the box since this is in our foyer. 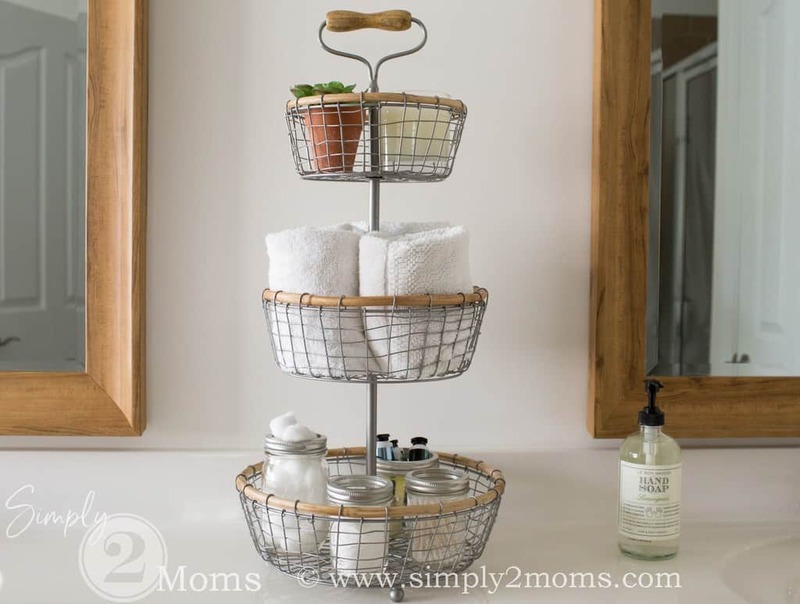 Our bathrooms are also great places to use baskets to organize our things. 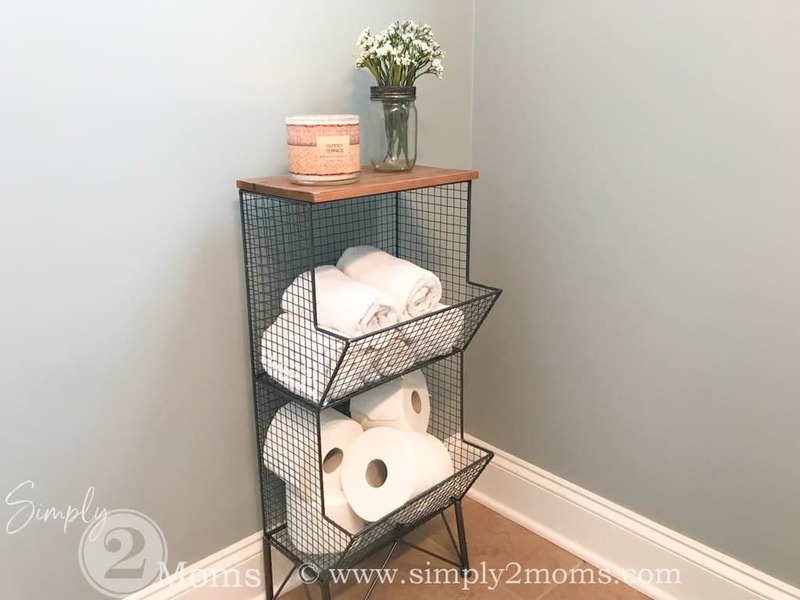 I recently found this storage tower for our powder room and shared it in this post. It’s the perfect solution in our small half bath for storing extra toilet paper and hand towels. We recently updated our master bathroom and added a few baskets. 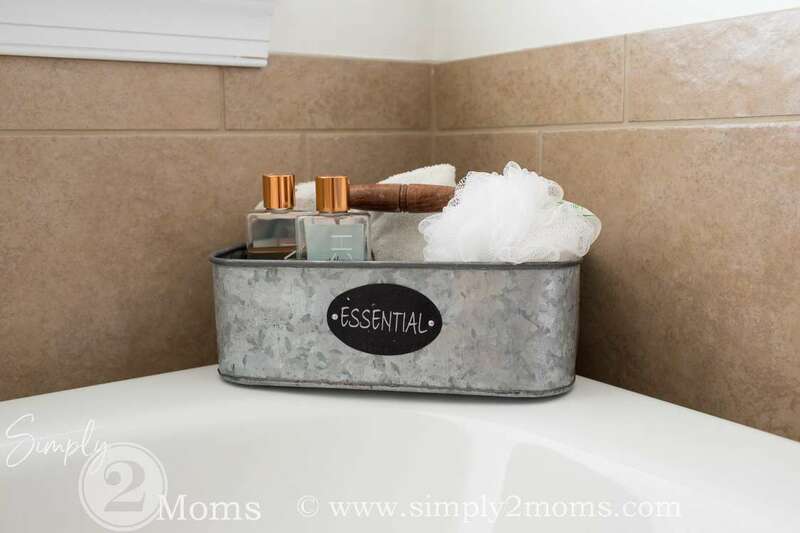 This simple galvanized bucket holds shower gel, bubble bath, a loofah and towels and sits on the side of our tub. 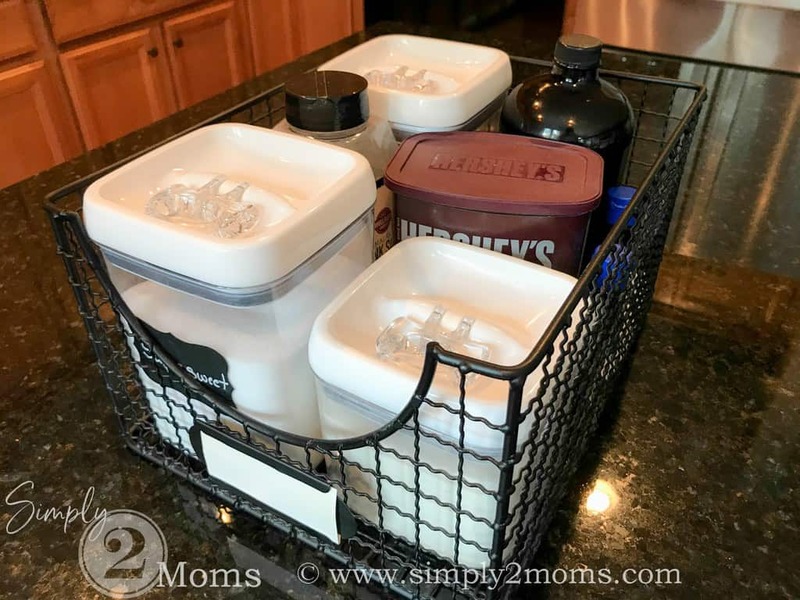 Organizing cotton balls, swabs, cosmetic rounds and lotions in mason jars in the bottom of our tiered storage basket makes these items easily accessible for getting ready every morning and night. Hand towels in the middle basket are ready to grab when a clean one is needed. And just a few pretty items displayed in the top basket. Decorative baskets are a simple way to organize your home. They are inexpensive and easy to find. Baskets can be used in so many ways in your home. Do you have any other ways to organize your home with baskets?